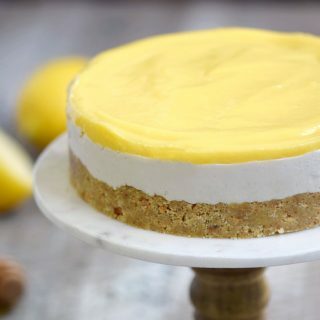 It’s Feast ‘n Devour time again, and this month is LEMON!! 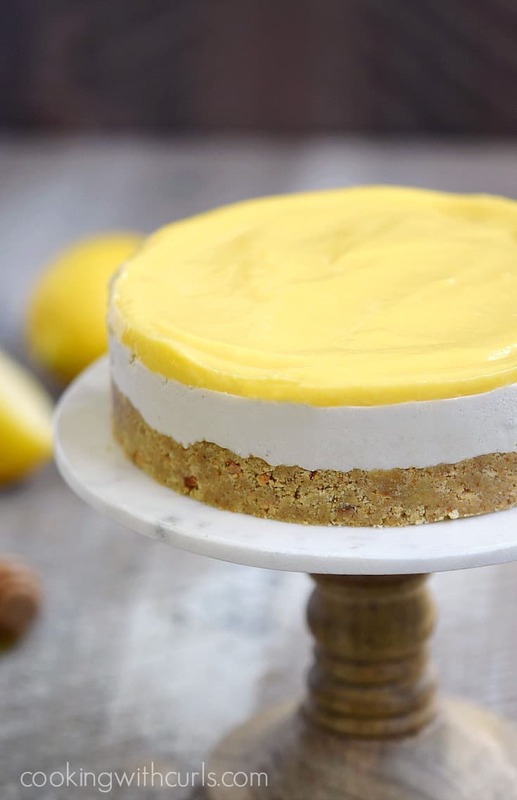 Wouldn’t it have been weird if I said it was chocolate, since the title says Paleo Lemon Cheesecake? No? Okay then, you are going to love this cheesecake. 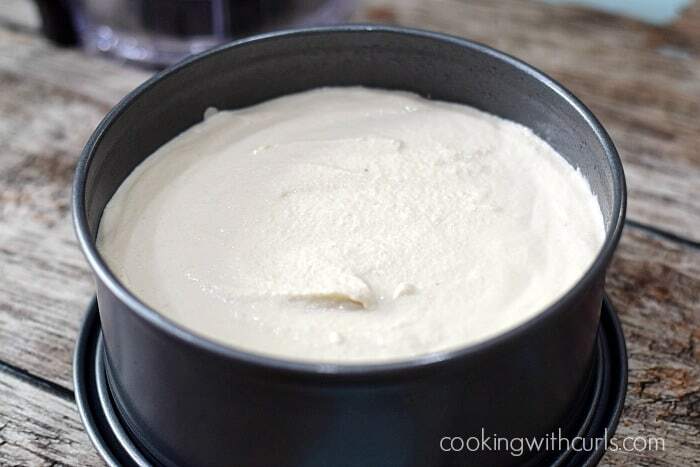 It is rich and creamy just like a “normal” cheesecake, but has no gluten, refined sugar, or dairy to weigh you down or mess with your stomach…..
Spray a 7-inch springform pan with olive oil spray. Set aside. In a large bowl, mix the crushed Paleo Vanilla Wafers with the honey. 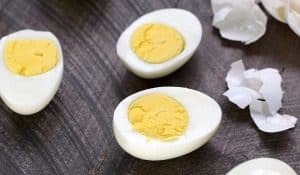 Add one Tablespoon of oil/ghee at a time until mixture holds together…..
Pour the mixture into the prepared pan and press into the bottom until smooth. Set aside. Drain the cashews and place them in a blender. Add the coconut cream, honey, and lemon juice. 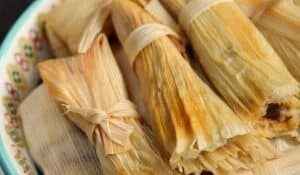 Puree until completely smooth…..
Pour the filling over the prepared base and smooth over the top until even…..
Place the pan into the freezer for 1 to 2 hours to set. I didn’t wrap it, I just stuck it in there. 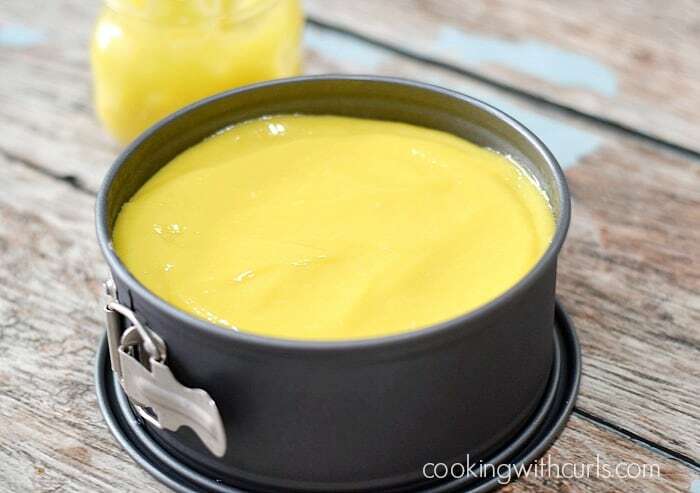 Remove the cheesecake from the freezer and top with Paleo Lemon Curd, spreading it evenly over the top…..
Place in the refrigerator until chilled and completely set. Remove the outer ring from the pan. Run a large knife under the base to loosen it, and lift the cheesecake off the pan with a large spatula and place on a cake plate. I soaked my cashews for 3 hours, and my son didn’t like the texture. Soaking them longer makes them smoother when they are blended, I’m just impatient. 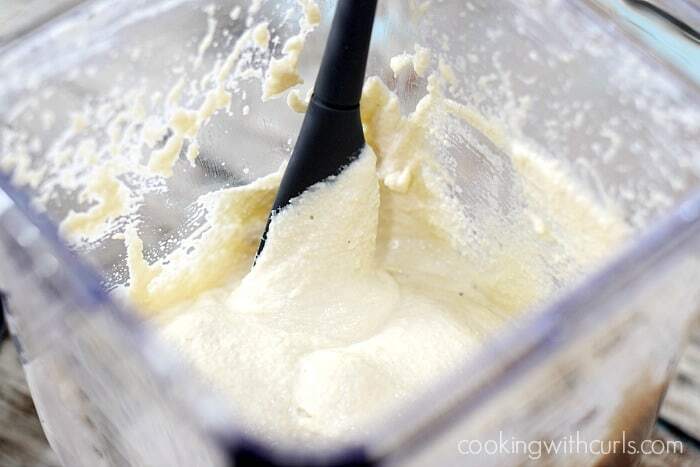 For the coconut cream: refrigerate a can of full-fat coconut milk until solid. Remove without shaking, open with a can opener, and scoop out the solid coconut cream on top. Discard the liquid. For clean slices: run a chef knife under hot water before slicing, wipe off the blade and run under hot water again between slices. 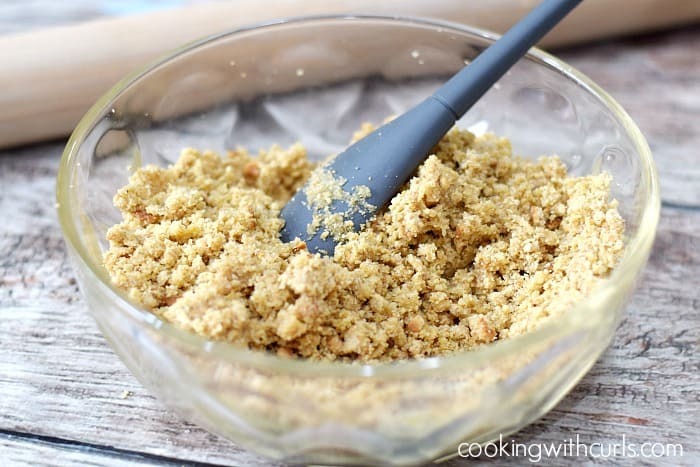 15 Paleo Vanilla Wafers equal 1 1/2 cups of crumbs. Lemon Berry Napoleons from Home.Made.Interest. 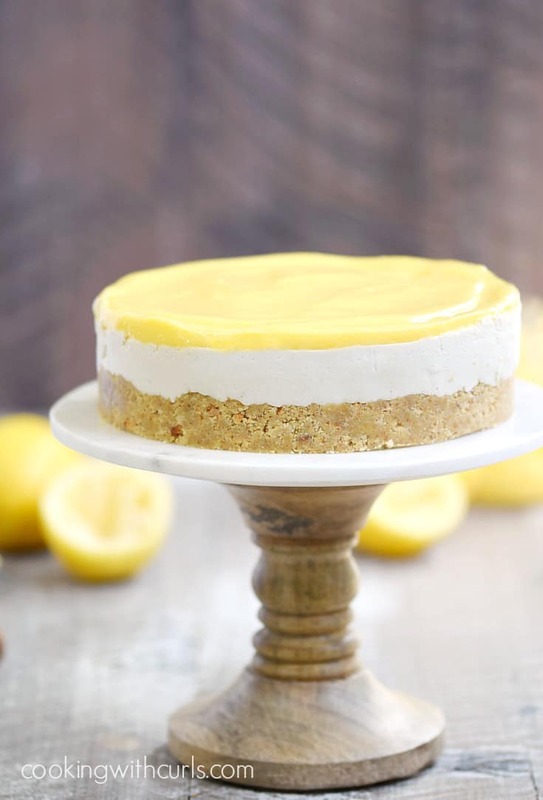 This Paleo Lemon Cheesecake proves that dessert can be delicious and healthy! Dairy, gluten, and refined sugar-free!! Spray a 7-inch springform pan with olive oil. Set aside. In a large bowl, mix the crushed vanilla wafers with the honey. Add one Tablespoon of oil/ghee at a time until mixture holds together. Drain the cashews and place them in a blender. Add the coconut cream, honey, and lemon juice. Puree until completely smooth. Pour the filling over the prepared base and smooth over the top until even. Place the pan into the freezer for 1 to 2 hours to set. 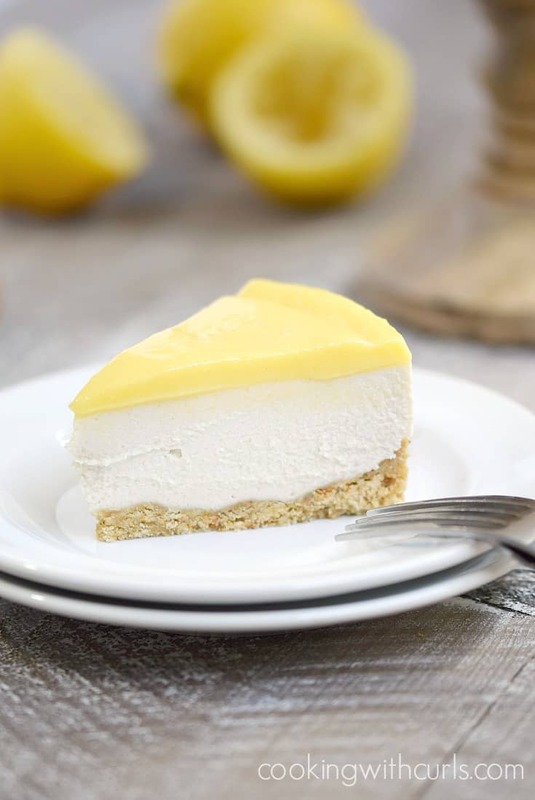 Remove the cheesecake from the freezer and top with lemon curd, spreading it evenly over the top. Store unused portions in the refrigerator for up to 3 days. I soaked my cashews for 3 hours, and my son didn't like the texture. Soaking them longer makes them smoother when they are blended, I'm just impatient. 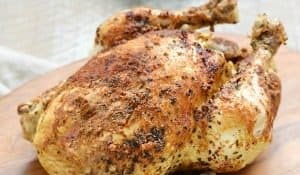 The nutritional facts are totally wrong for this recipe. There are no values in the app for paleo vanilla wafers or lemon curd. This looks so luscious Lisa! 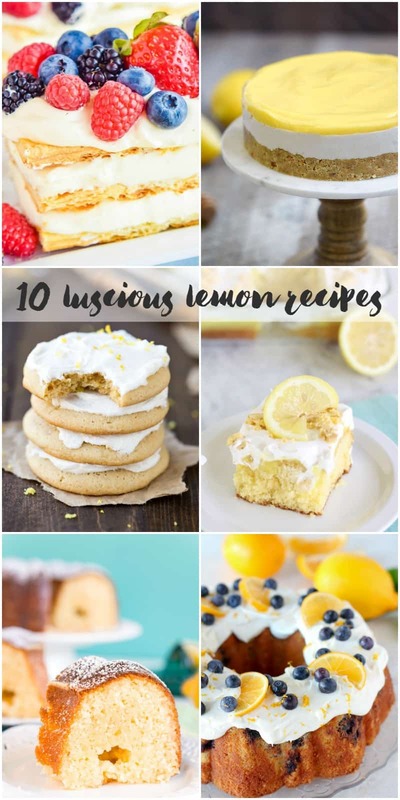 Lemon is my favorite! This looks amazing!!! You are killing me here, Lisa. This looks fabulous. I wish I weren’t the only one that likes cheesecake in the house.